These are general-purpose pan-head screws intended for product assembly. They are RoHS compliant, making them a good choice for products subject to environmental regulations. 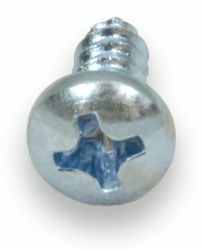 Note that for pan-head screws, the specified length is the length of threads under the screw head, rather than the overall length of the entire screw. These screws are sold in bags of Qty 100.